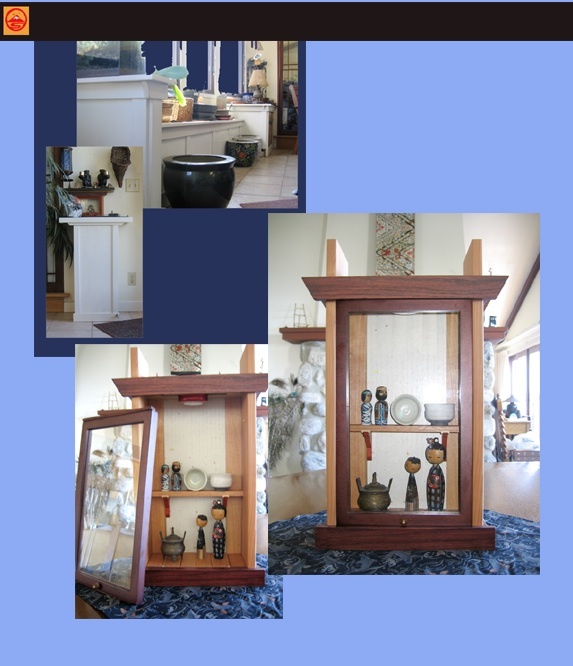 In the 1990’s I developed an interest in Japanese cabinets, the result of rebuilding a house after the Altadena Wildfire of 1993. My earlier interests were significantly more Baroque, loving the overpowering gobbledygook of that particular period. With age, I guess, I became enamored of the”less is more” philosophy and became attached to a style which influenced the California Arts and Crafts movement. These cabinets feature “drop-fit-doors” and faux fronts attached with magnetic catches. Behind the fronts of the cabinets at the top of the photo are book cases. I love these. My husband is building one right now.